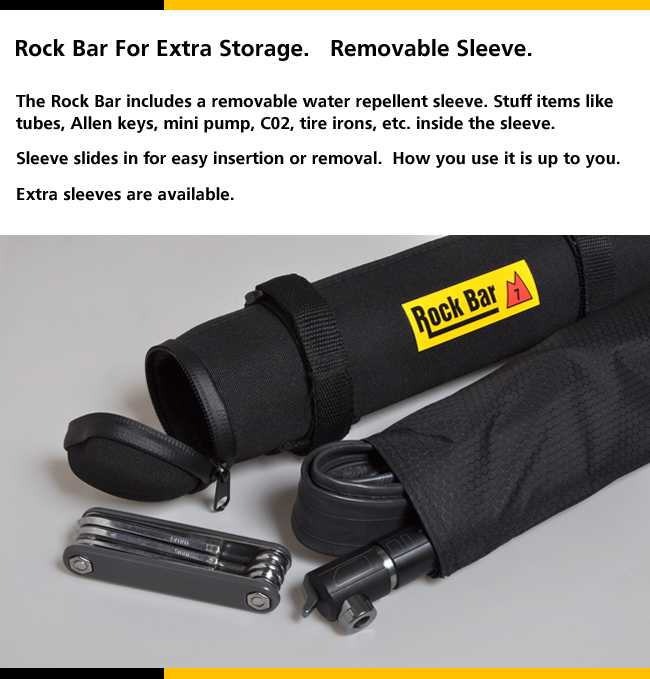 - The Rock Bar gear storage case is the versatile storage case with a slim-line design. 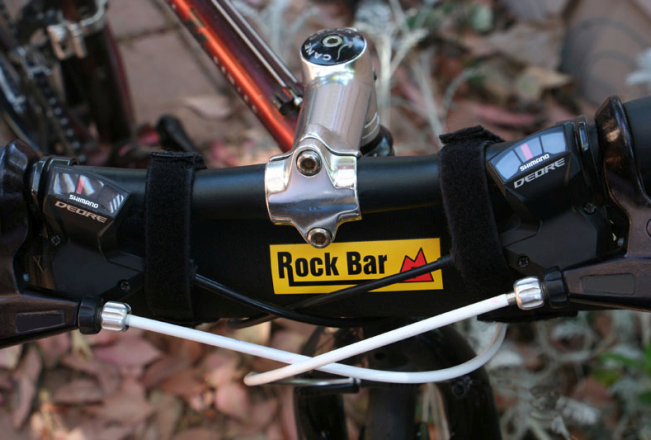 The Rock Bar can attach to many locations on a bike and to all types of bikes to hold extra gear. 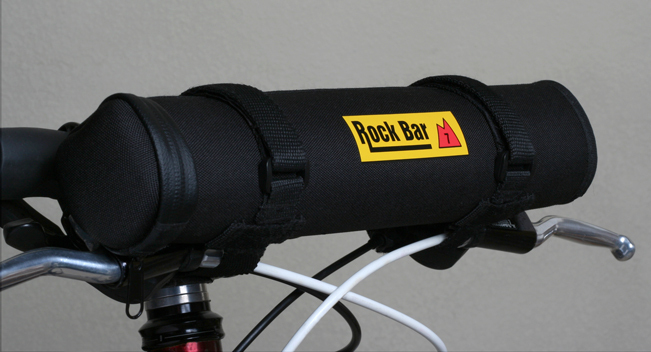 - The Rock Bar can be used to hold items such as tools, spare tube, energy bars, slim 8 oz. bottles, mini pump/CO2, patch kit, batteries, and more. How it is used is up to you. 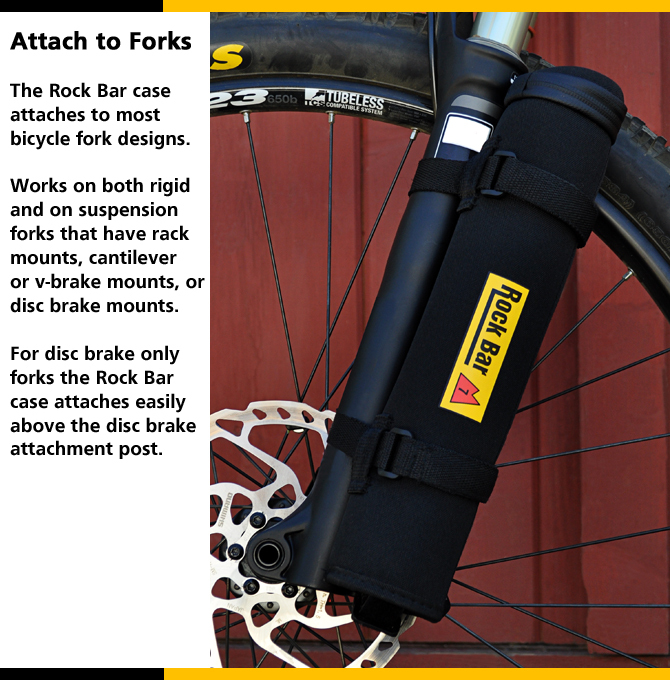 Use one or more Rock Bar storage cases on the bike. 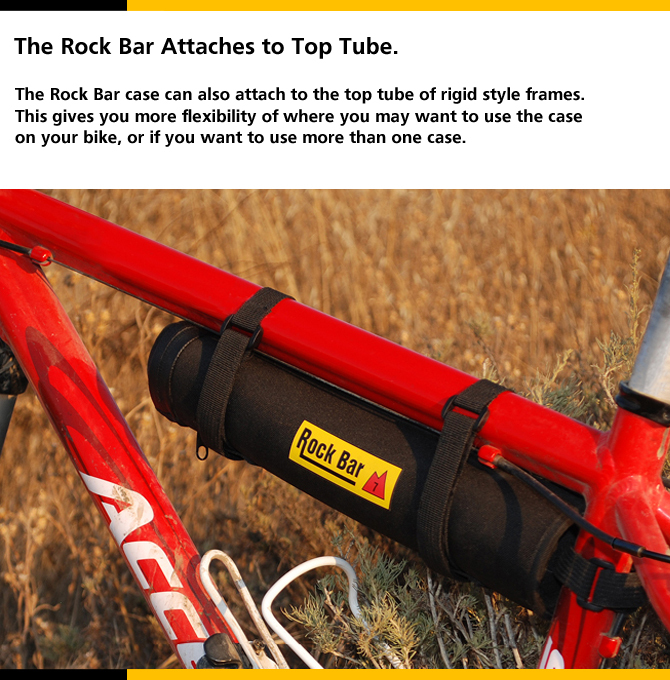 - Attach the Rock Bar to the handlebar, the down tube, the top tube, and onto many forks. 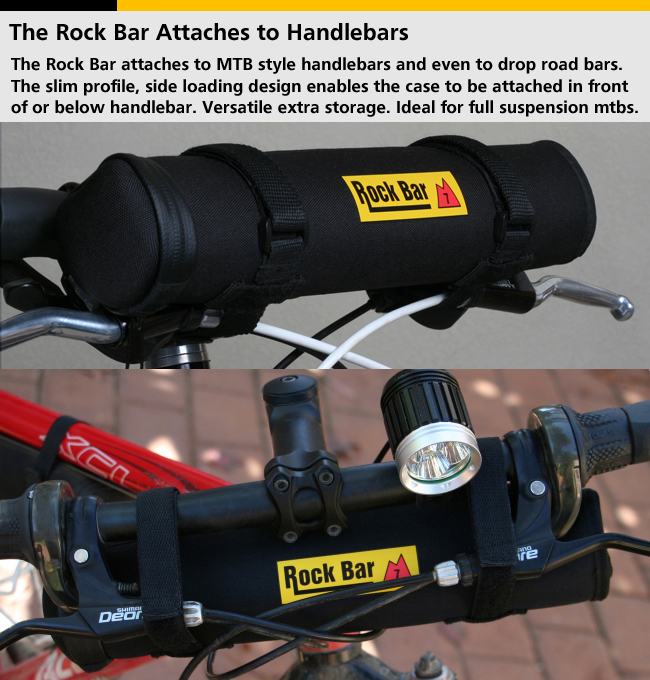 With its versatile design, the Rock Bar can even be used off the bike and attached to packs. - Great for mountain biking, road riding, training, touring, bikepacking, enduro, gravel riding or racing and for other adventures where extra supplies are needed. 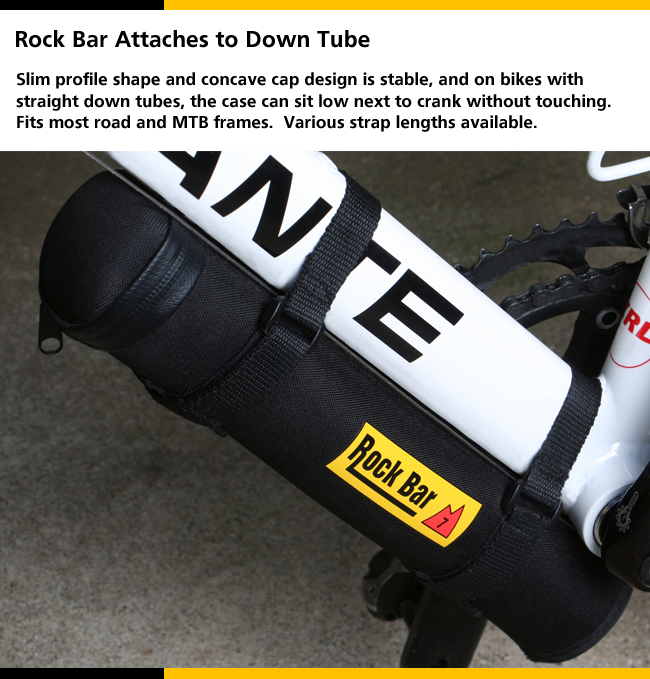 - For the serious competitive cyclist the Rock Bar case is also available with removable weights. 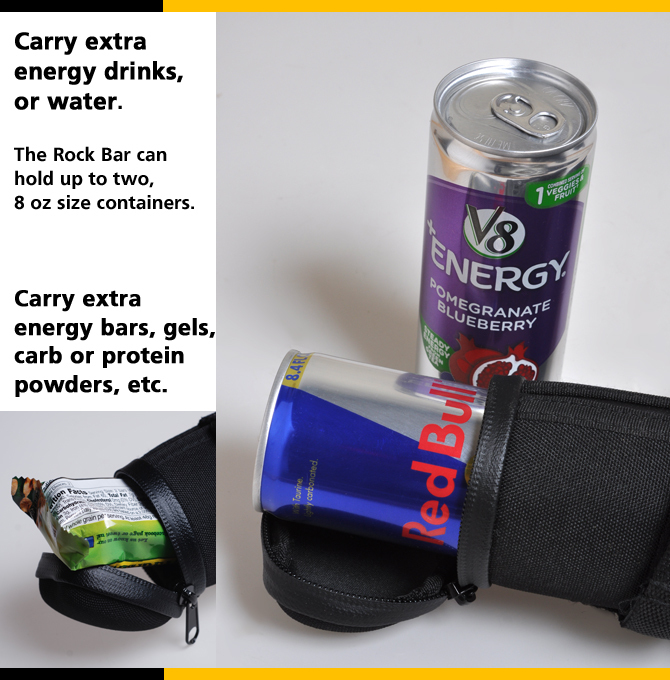 The Rock Bar case with weights comes with two weight pouches of 3.5 pounds each. You will be able to add up to 7 pounds to the bike for each case attached to the bike. For the cyclist wanting to improve their climbing power, adding weight to the bike will increase your strength for any cadence and gear ratio. For the cyclist training for a bike packing or touring trip, adding weight to the bike during training is benefical. 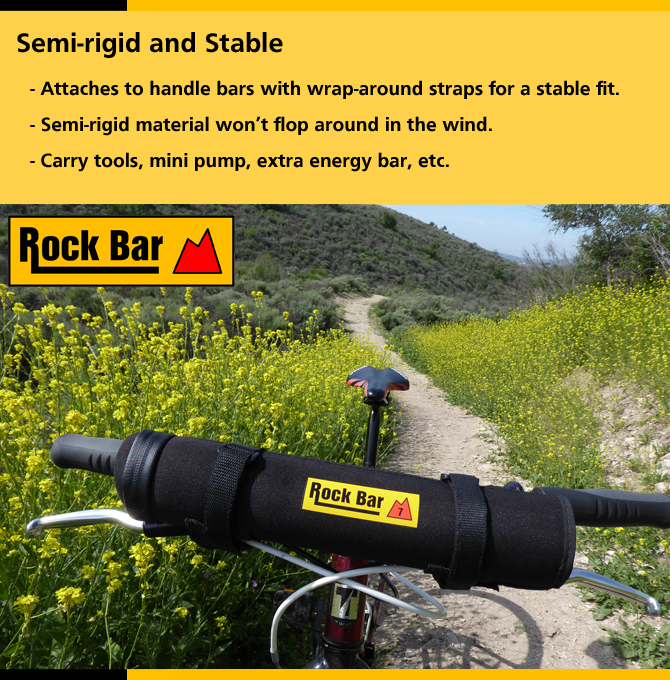 - The Rock Bar's size and form allow it to be attached to the bike at the best location for adding weight to the bike...below your center of gravity under the down tube. 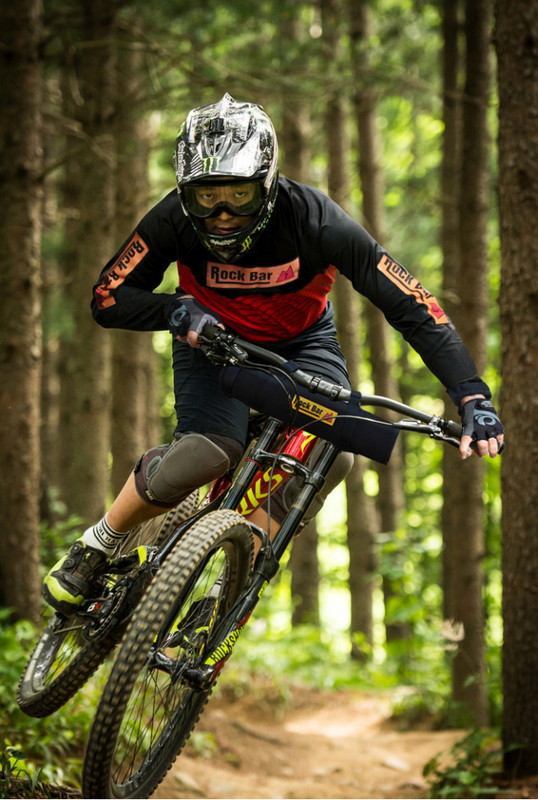 - Add weight to road bikes, gravel bikes, cross bikes and mountain bikes. - Durable, semi-rigid, foam padded nylon case with special contoured cap. - Slim profile contoured design. Will not interfere with normal bicycle use. Stable and secure. Internal volume: 28 x 5 x 6 cm approx. Outside length: 32 cm. - Design allows case to be attached to multiple locations and to multiple bike types. Attaches to most handlebars, frames, or forks. - Two removable main straps with strong wrap around design. Additional straps available in different lengths for accommodating various bikes designs and uses. - Removable, water repellent, rip-stop nylon sleeve pouch makes removing or swapping contents easy. Additional pouches are available. 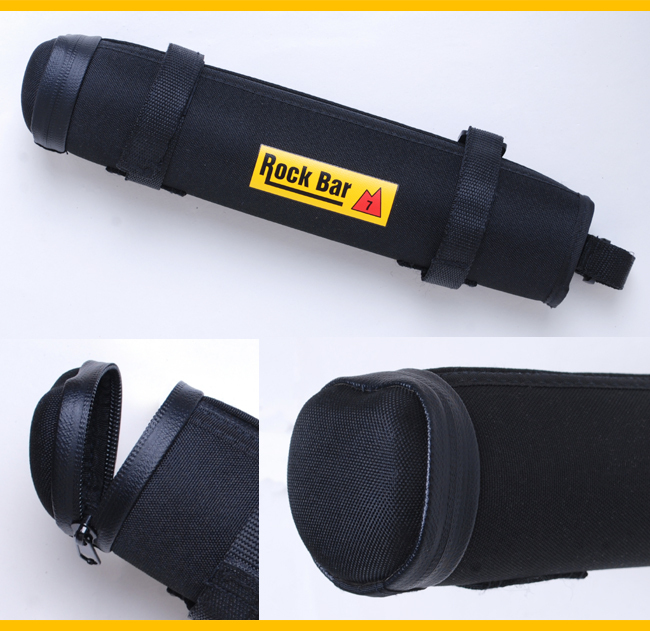 - The Rock Bar is designed for use as a storage case or as a training weight case when used with weights. It is strong and stable. Holds up to 7 pounds of steel by volume.